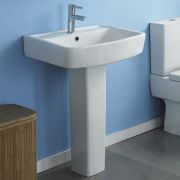 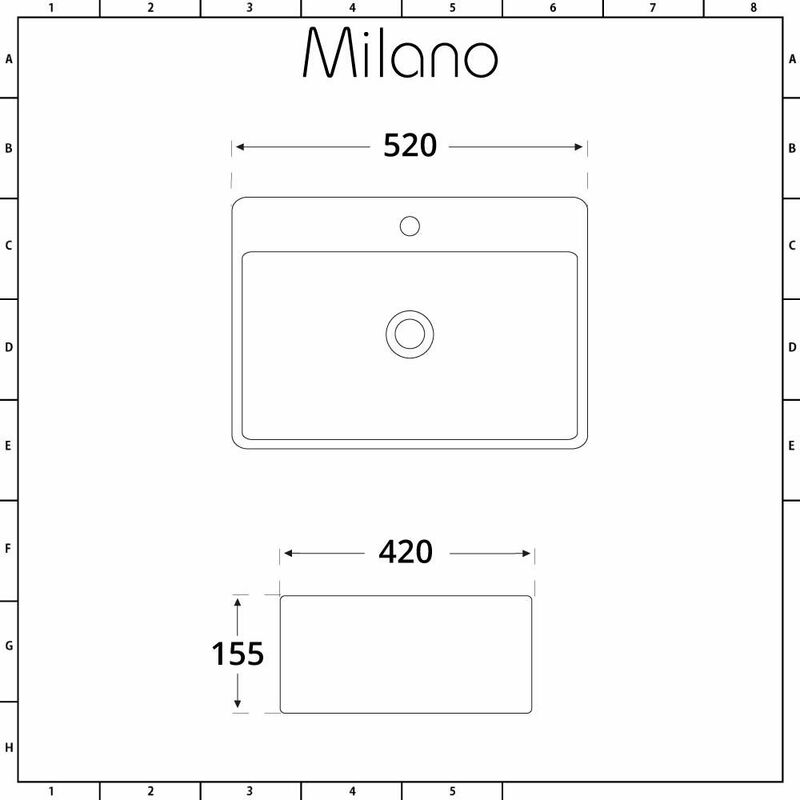 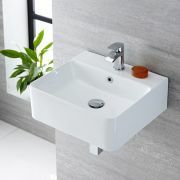 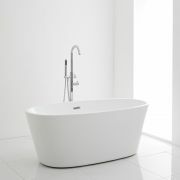 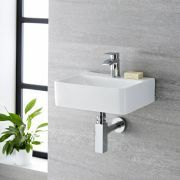 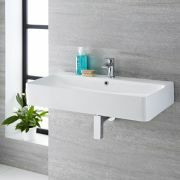 Update your bathroom or en-suite with a touch of contemporary style using the Milano Farington 520mm x 420mm wall hung basin. 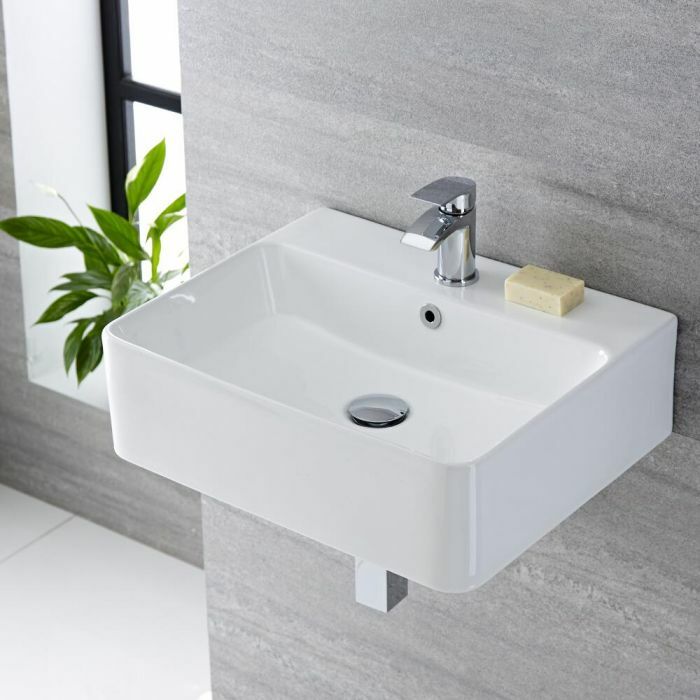 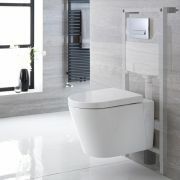 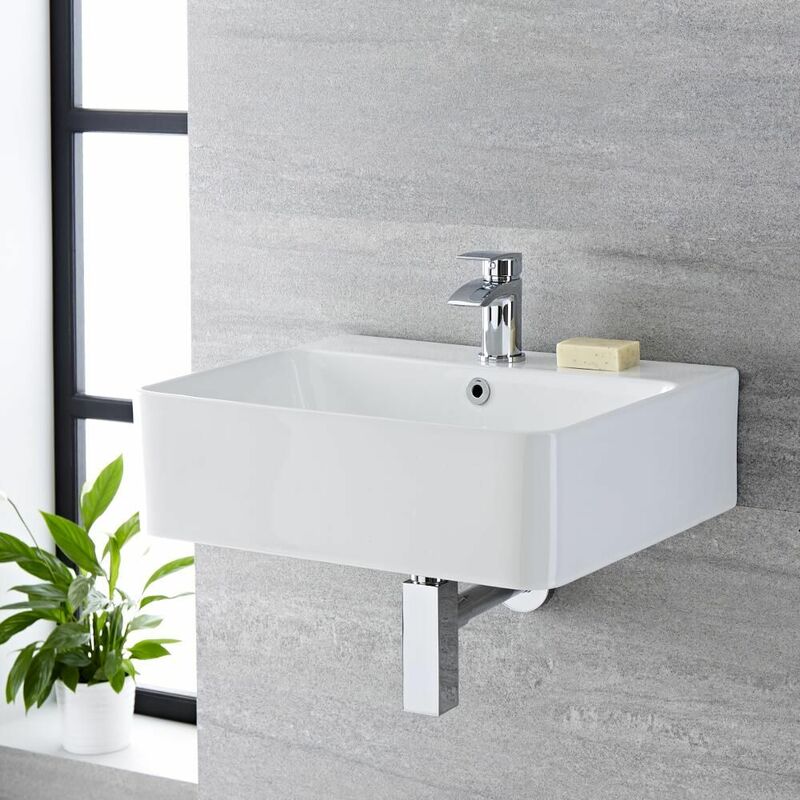 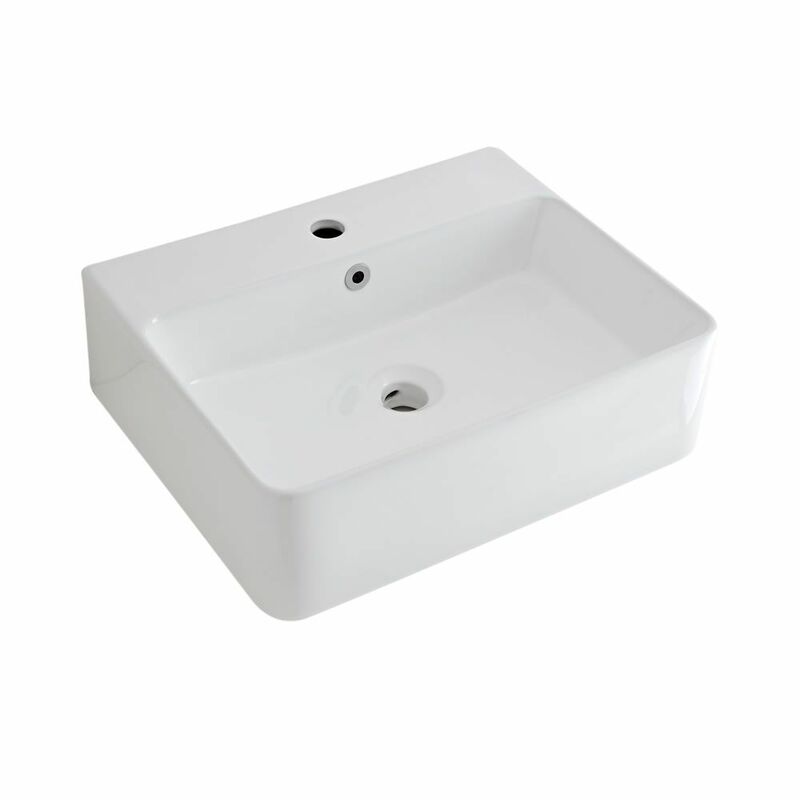 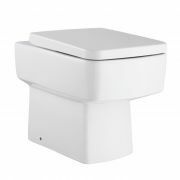 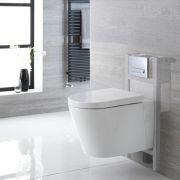 Manufactured using premium quality ceramic and finished with a durable easy to clean white glaze finish means that this wall hung basin can give a fresh and modern look to your bathroom. Featuring a single tap-hole, this basin can be fitted with a choice of mono basin taps from our range to complete the look.